LIQUIDS that vaporise at room temperatures. These are found in numerous easily available household and industrial products including paint thinners, degreasers, petrol, glues, correction fluids and felt-tip marker fluids. 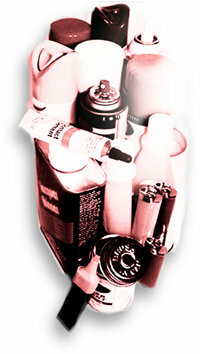 SPRAYS such as spray paints, deodorant and hair sprays, vegetable oil sprays for cooking and fabric protector sprays. 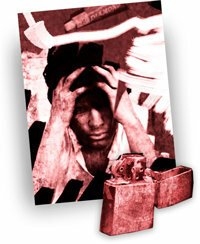 GASES including medical anaesthetics (ether, chloroform and nitrous oxide, commonly called “laughing gas”), butane lighters, propane tanks, whipped cream dispensers and refrigerants.